The 21st flight of ISRO’s RH300 Mk-II Sounding Rocket, was launched on April 06, 2018 at 19:30 Hrs IST from the Thumba Equatorial Rocket Launching Station (TERLS), VSSC, Thiruvananthapuram. 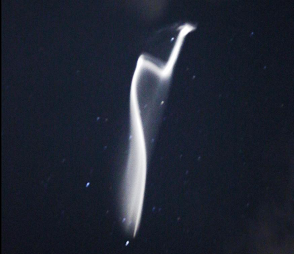 In this launch, the single stage indigenous Sounding Rocket successfully expelled the chemical Trimethylaluminum (TMA) at altitudes between 90 - 108 km, marking the first successful TMA experiment with an indigenous rocket. Scientific objectives of the mission are to measure the ionospheric density and neutral winds in the E-Region of the ionosphere using two independent techniques, as well as to cross validate the measurements of wind by these techniques, investigating the modulations in the neutral wind along with electron density at dynamo heights and their implications in providing a trigger for the generation of equatorial Plasma Bubble and assessing the role of wind shears in generation of the E-region irregularities like Sporadic E, Blanketing Es etc. 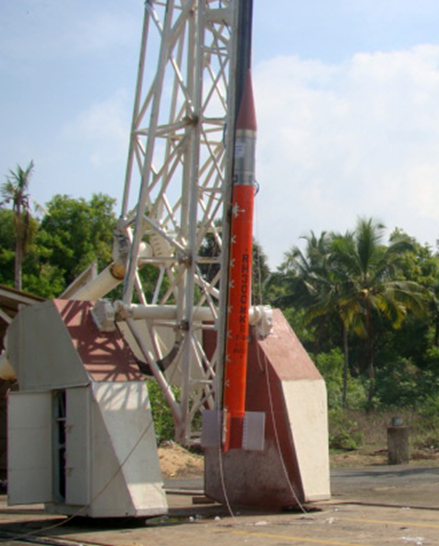 Space Physics Laboratory (SPL) of VSSC has developed the ENWi Probe indigenously and this was successfully flown earlier in 2010 during Sooryagrahan campaign using sounding rockets. TMA is a pyrophoric liquid that burns on contact with oxygen. The reaction between TMA and oxygen is slow and produces a long-lasting chemiluminescence that lasts for few minutes and this trail can be captured by white-light cameras from the ground. ENWi Probe is capable of providing wind assessment at any time of the day, while TMA is suitable for twilight and night conditions. 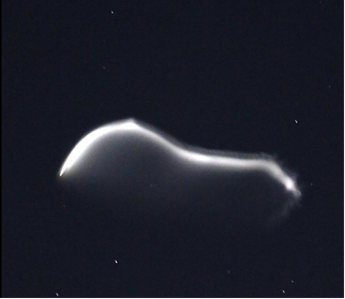 TMA, when released in twilight conditions, produces both the white light associated with the chemiluminescence and a strong blue light associated with an aluminum resonance emission line. The dynamo region over the geomagnetic equator represents the altitude region between 90 - 120 km where the neutral wind plays a very important role in controlling the generation and evolution of electric field and allied electro-dynamical processes. It has been observed that the variability in the prevailing wind and its vertical structure in this region control the large-scale processes like Equatorial Electrojet (EEJ). However, there have not been many measurements on wind in the dynamo region, primarily been due to technical limitations to probe this region. None of the conventional techniques works in this region due to many of reasons. Globally also such measurements are sparse because geomagnetic equator passes over the ocean at most of the places/longitudes, except over Indian, African and Brazilian sectors. Though there have been sporadic attempts to study this region, there are significant gaps, especially in 90-120 km altitude region. The dynamo region has been aptly dubbed as “ignorosphere” of the atmospheric regions. TMA expulsion experiments are extensively used for characterisation of wind propagation in the E and lower ionosphere regions of the atmosphere. The first launch of a TMA payload from TERLS took place on May 02, 1965 using a French Centaure Sounding Rocket. Seven more launches of TMA payloads have been carried out from the TERLS range using Centaure, Nike-Apache and Petrel Sounding Rockets of France, the USA and Britain respectively. TMA technique is still the preferred method for in-situ wind profile measurements in the upper atmosphere. RH300 Mk-II is a single stage, fin stabilised, spinning Sounding rocket with a diameter of 305 mm, overall length of 5.6 m and capable of carrying a payload of 80 kg. The rocket is powered by a solid propellant booster motor that burns for about 20 seconds and generates a maximum thrust of 65 kN. The rocket is spun to about 4.5 revolutions per second by two spin rockets mounted at the tip of one set of opposite fins. The spin rockets function for 300 milliseconds and are then ejected out. The vehicle has a centralised sequencer-encoder which provides the commands for all the activities after launch. The data acquired by the various systems are transmitted to the tracking station through a programmable S-band transmitter. The vehicle reached an apogee of about 107 km in 160 seconds. At 100 seconds after lift-off, when vehicle was at 90 km altitude, expulsion of TMA fluid was initiated. The expulsion continued for 43 seconds at an average flow rate of 50 gram/second. 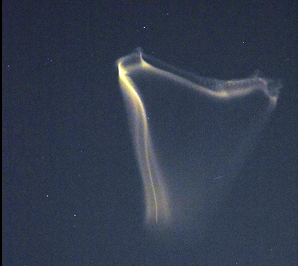 The TMA vapor trail was successfully photographed from four locations on the ground, namely, Thiruvananthapuram, Kollam, Kanyakumari and Tirunelveli. 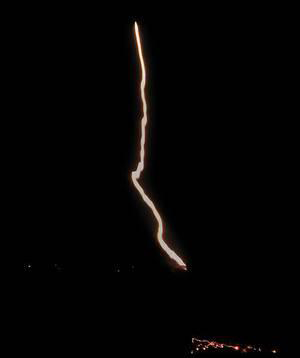 The trail is initially a nearly straight line since it is released along the rocket trajectory. Afterwards, rotational and speed shears in the upper atmosphere distort the trail. A quick look on the data shows presence of plasma enhancements associated with Equatorial Electrojet in the ENWi and LP data. Such an observation involving TMA is first of its kind in India and warrants special attention. The TMA trails clearly indicate the presence of strong wind shears and waves in the region 90-105 km, which have significant manifestation on the generation of E and F-region plasma irregularities. 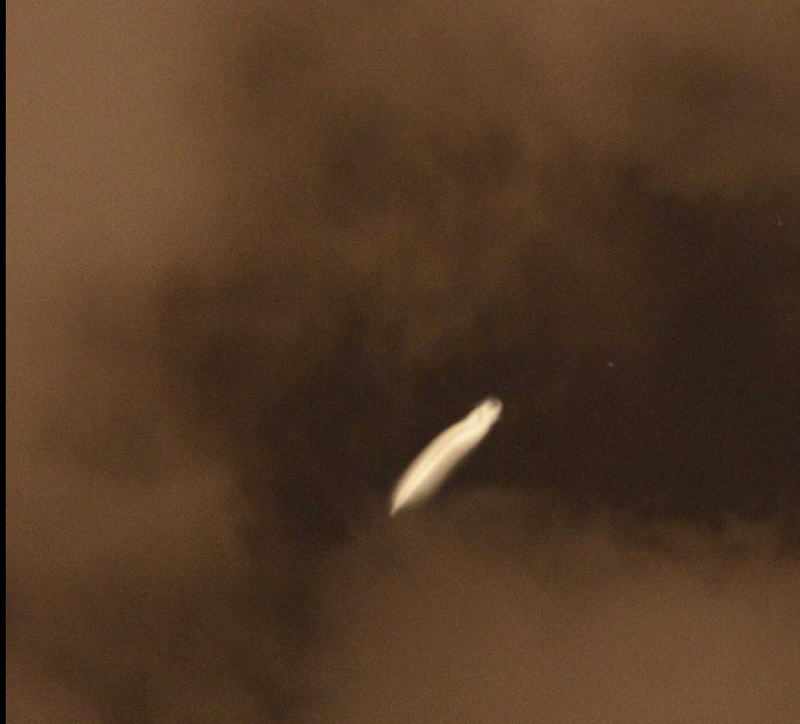 In brief, the experiment with RH300 Mk-II launch on April 06, 2018 was a sounding success in which first time Trimethylaluminium trail was created in upper atmosphere and was photographed from the ground. Detailed analysis is under progress. It is expected that the final results will help in addressing some of the unanswered questions pertaining to the wind structure in the lower ionosphere region over the geomagnetic equator.